Travel to the Past or the Future, TONIGHT! Stop reading about history. Slip on your headphones and live it! LET GO of ALL your limitations and enjoy the EXCITEMENT of TIME TRAVEL as EARLY as TONIGHT! BREATHE the air from a thousand years ago, SEE what wonders and mysteries the future holds, TAKE your own guided tour through history – you control EVERYTHING that you do! SEE things you've only ever READ ABOUT! Don't let a little thing like sleep stop you from having a wonderful adventure. 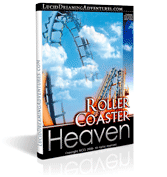 Let the power of Lucid Dreaming take you back and forth through time TONIGHT! 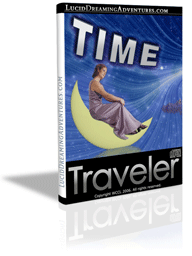 Grab the Time Traveler CD TODAY and TAKE CONTROL OF TIME! Interested? Purchase YOUR copy of the Time Traveler CD today for JUST $28.95. Leaving your past in the past!